“Huh?” you say. You’re grateful for space planning? Whaaaa? Looks good, yes? This picture was taken from the view of just walking in the door. It meets the traditional design idea of walking into a room and facing the bed. There is plenty of room. It’s a beautiful thing. 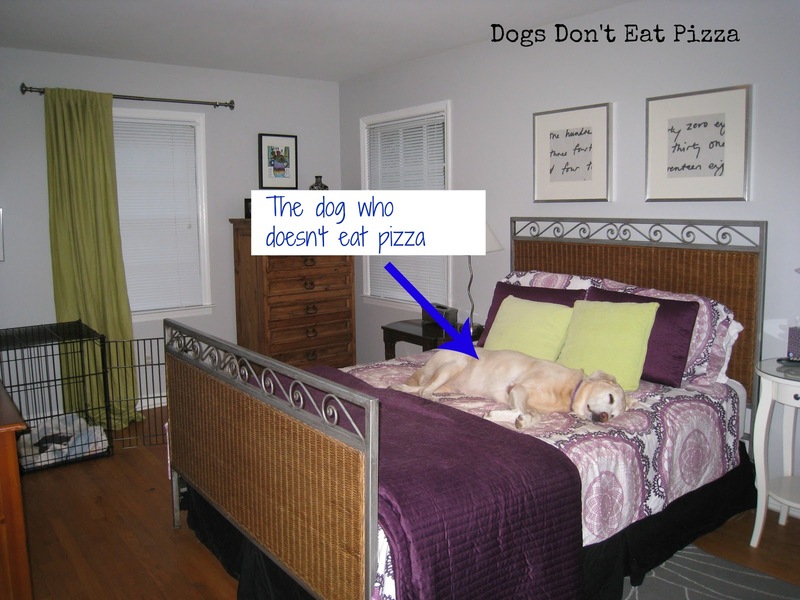 OK, this also meets the traditional design idea that the bed is the first thing you see when you walk in (and the lazy Dog Who Doesn’t Eat Pizza on it). But the bed cuts the room in half. One half (to the right of the bed as you are looking at it) is my desk area/office. The other side is just empty. We had our guest room this way since we moved into this house – nine and a half years ago! Suddenly, while I was procrastinating taking a break from grading, I decided that I had a better plan. I figured that the room would look and feel bigger if the bed were moved to the other wall. I thought it would open up the room and give more room on the end without the bed, which is where my work space/office is. It would create more usable space. I am not kidding when I say the room looks and feels fifty times bigger. So, today, after having a guest for the first time since the big furniture rearrange and having the guest proclaim, “Wow!” when she walked in, I am grateful that I can visualize and plan a space. I’m also thankful that Dear Husband doesn’t mind me moving around the furniture to exercise this skill! lol! Love this and isn’t it funny how inspired we are to do decorating and projects when we want to avoid something we HAVE to do… My biggest motivator! Re-arranging furniture is one of my favorite things to do – it’s a free home makeover. 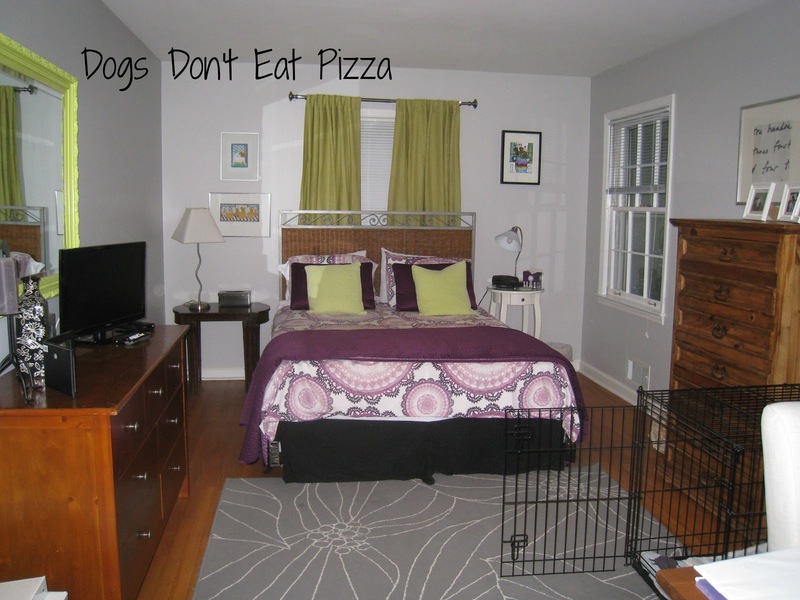 Your guest room makeover looks great and you are right; the room looks much bigger!